These highly secure sally port gun lockers make temporary handgun storage safe and easy. A wall mounted gun locker is also ideal for interview rooms, common areas—or any other location or situation that requires the utmost in handgun weapon security. 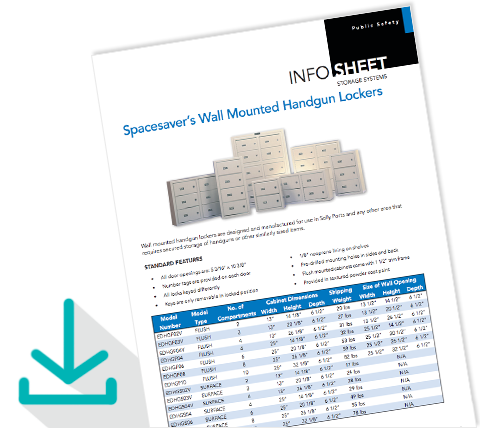 Spacesaver’s Wall Mounted Handgun Lockers bring ease and security to the Sally Port, plus offers temporary security for handguns and other similarly-sized items. Download the info sheet for detail on your options. 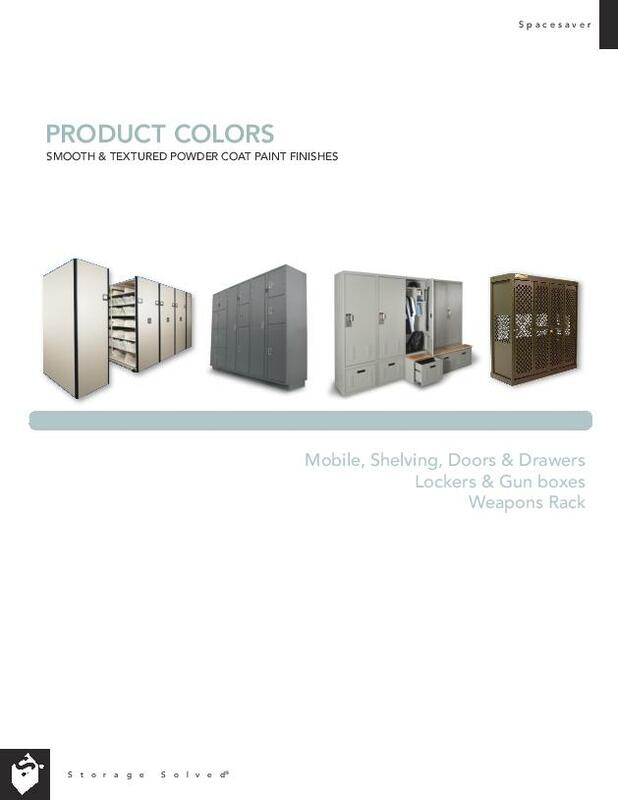 Surface mounted wall locker to securely store handguns, ammunition or other similarly sized items. 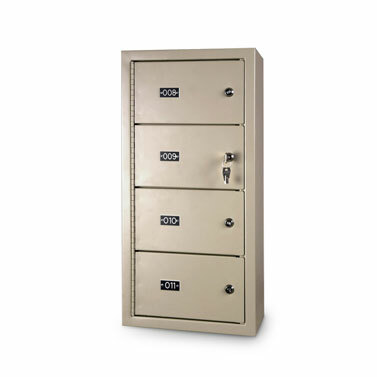 This locker contains a Medeco lock which offers excellent resistance to harsh weather and extreme conditions. 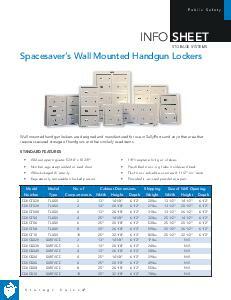 Police and Sheriff Departments throughout North America Have Used Spacesaver’s Wall-Mounted Gun Lockers for Decades. Seven models with up to 10 openings per system. Each opening measures 5-3/16 by 10-3/8 inches and 6 inches deep to provide ample storage room. Individually keys for each opening, while a master key allows for quick access to all lockers. Combination locks and digital locking mechanisms are also available. Available as wall mount or flush mount. All sizes available in surface mount or flush mount.